Recent research sought out to see what commonalities elite athletes possess. Here are 5 things that top achievers do that “almost champions” don’t. Sure, we can look at a swimmer like Michael Phelps and say, “He’s talented and works hard,” but what we really want to know is how much of that success is talent, how much is genetics, and how much of it is environment. We want to know the ingredients of greatness so that we can bring it out of ourselves (or perhaps, as I suspect, we are looking for the big spoiler: we want to know if the work is going to be worth the effort). As one fascinating study of champions of all levels from numerous sports found the keys to greatness are fairly consistent. And as the findings show, the things that separate the “super champions” from the athletes who were on the cusp were quite clear. 1. Fierce desire to overcome challenges. Whether it was coming back from an injury, or being cut from a team, the top athletes in the group faced these missteps with a determined resolve. They were also very proactive about training at a high level. “I always felt that there’s no chance, nobody or anybody could train more than I did. I always had that confidence,” said one athlete. The high achievers tended to face challenges head on, employing a “how am I going to learn from this?” attitude that the “almosts” generally lacked, who often appeared surprised by challenges and failure. 2. Constantly setting new goals and challenges. For most swimmers reaching an end-of-season goal is the destination. Satisfied they lean back and don’t refocus on the next goal. High performers don’t sit on their laurels, satisfied with what they’ve done to date. They are continually moving the yard-sticks, setting new goals and never allowing themselves to be completely content. 3. Setbacks tend to ignite hyper development. 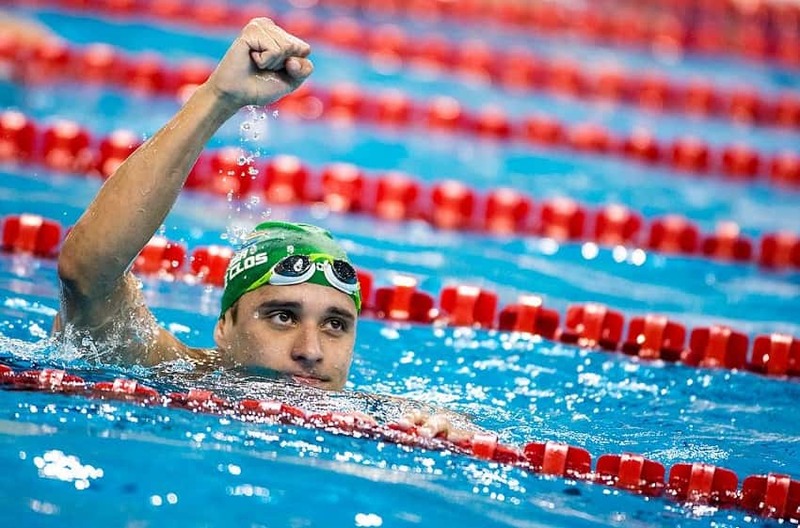 We all face failures, setbacks and disappointments over the course of our swimming. Whether it is a pair of broken swim goggles, injuries, or a disappointing performance, champs wield it to their motivational advantage, using them to launch themselves to the next level. Whether it was an injury, “That injury was pretty critical…I was determined to get back” to being cut from a team; “I just did double everything [after not being selected]” the big setbacks were usually big turning points. Think back to the last truly disappointing meet you had. Did you come back with twice the determination and commitment to improve? Or did you choose to let the poor performance be an indictment of your swimming? 4. High performers are intrinsically motivated. Clear differences were found in how the various groups of athletes viewed their sport and what they found rewarding and motivating. 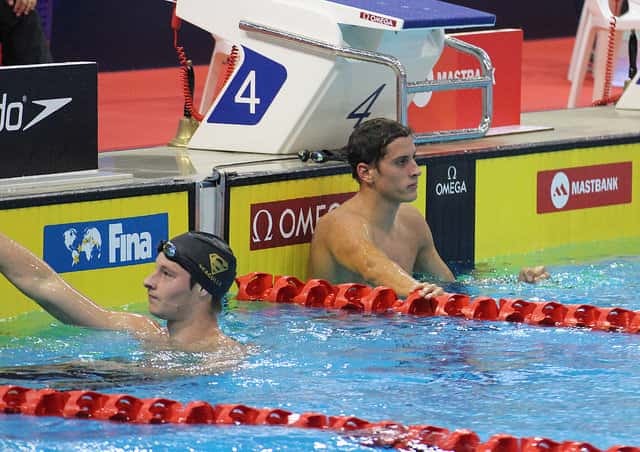 The high performers tended to engage in a lot of reflection on their own performances (something that sounds a lot like Caeleb Dressel and the way he uses his training log to reflect on the way he trains in the water). While the high performers tended to focus inwards, the “almosts” tended to motivate themselves via what other athletes were doing. Monitoring the performances of the competition incessantly and allowing their mood to be affected by how they did, for example. Motivation happened by way of external influences instead of the things they could fully control. 5. The parents and coaches weren’t pushy. From purely anecdotal experience I can say that very often the best swimmers come from families where the parents are hands-off. This doesn’t mean the parents don’t care, or that they don’t help with the carpool, etc; quite the opposite. They do the parenting stuff, and let the kid do the swimming stuff. As a result, the swimmer has the sport for themselves, is able to take ownership of their training and performances, and as such, help them find their own motivation to engage in the sport. The parents having a “backseat” approach was consistent with the super champions. While the parents were supportive and interested in how the athletes did, they weren’t major drivers of improvement. “They were supportive, but they didn’t drive me, they didn’t push at all,” said one athlete. Interestingly, the coaches of the top performers were also reported as being relaxed, focusing on the long term development of the athlete even though the athlete was usually more focused on the shorter term goals and ambitions. I know as a youth (and maybe still on occasion) my coaches had to deal with my impatience in this regard. Like most young swimmers I wanted my results and I wanted them right away. Whether intentional or not, the parents and coaches created a situation for the athletes where they were intrinsically motivated, and not training and competing in order to please others or for external rewards. Ignoring things like genetics and talent for a moment, being great, in the face of this research, isn’t all that complicated. It’s about adopting a mindset that thrives in the face of setbacks, finds internal pleasure and reward in the work being done, keeping an evolving set of goals, and having an environment that allows you to take accountability of their swimming. Those are the things you can control. And if there is one thing this study shows, it’s that the way you react to the conditions you are dealt with dictates the way you eventually perform.